The 2017 Chevrolet Silverado 2500 HD diesel pickup truck is getting a new piece of hardware to help its engine run more efficiently. Versions of the heavy-duty truck equipped with the 6.6-liter Duramax diesel V-8 are now adorned with a functional hood scoop, which feeds cooler air into the engine. 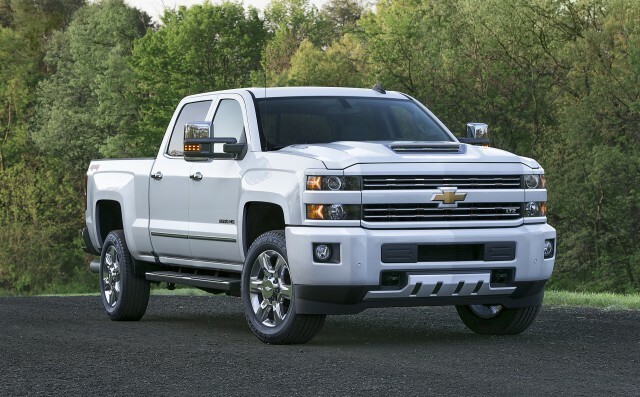 This addition—along with other modifications to the air-intake system—allows the diesel engine to operate more easily in extreme heat, cold, or wet weather, Chevy says. The new intake system is designed to deliver air that is both cool and dry—two important qualities for efficient combustion. Around 60 percent of the air used by the engine is drawn in through the hood scoop, which keeps its temperature low by avoiding most of the heat of the engine compartment. The scoop also enables a "ram-air" effect, allowing it to funnel greater quantities of air into the engine when the truck moves at speed. A secondary intake in a front fender accounts for the other 40 percent of airflow, and ensures the engine can still breathe if the hood is blocked. To ensure that air ingested by the engine is dry as well as cool, the 2017 Silverado 2500 HD also features an air/water separator. The air must flow through a 180-degree turn, which forces moisture to consolidate into large droplets. These droplets are forced toward the outside of the housing by centrifugal force, and are then drained away. 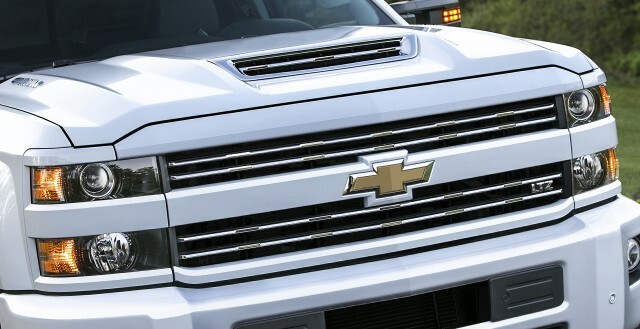 Chevrolet believes the new hood scoop and intake system will make the Silverado 2500 HD perform better in harsh conditions. Carrying Interstate 70 through the Rocky Mountains in Colorado, the Eisenhower Tunnel is located 11,000 feet above sea level. That makes it the highest vehicle tunnel in the world. While it should now operate at full capacity under a wider range of harsh conditions, the actual specifications of the Silverado 2500 HD's 6.6-liter Duramax diesel V-8 haven't changed. The engine still produces 397 horsepower and 765 pound-feet of torque, and is mated to a six-speed automatic transmission. The mechanically-identical 2017 GMC Sierra 2500 HD likely boasts the same intake-system upgrades. 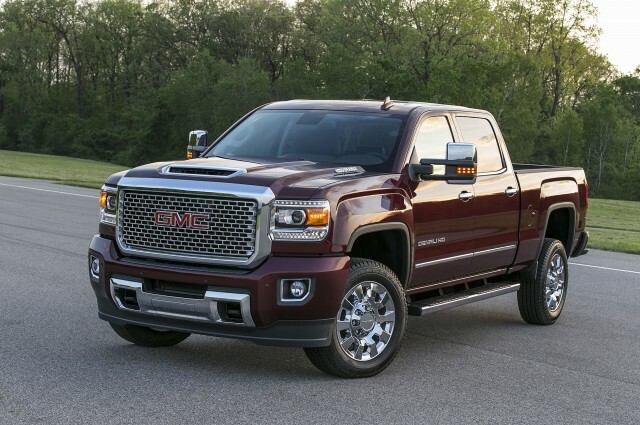 GMC has already shown photos of that truck sporting a hood scoop as well.